I’m about to tackle the most heinous of travel: the holiday airport shuffle, on Christmas Eve no less. This time rather than flying into my old faithful standby homey airport, where you still de-plane in the real light of day and walk down the actual runway to get to your gate, I’ll be arriving far from home in an airport I’m assured is still friendly, but the freeway traffic to get back home will most certainly not be. So rather than lose my mind and holiday cheer battling Los Angeles freeways, Grumpy/Sneezy/Dopey co-passengers and the inevitable airport mishaps, I conjured up the memories of my favorite bookish places, all young-adult themed, so I can go to my happy place and retain my sanity. Please, join me. I love a good creation story, especially when it’s short and sweet. (Looking at you, Hobbit movies.) C.S. 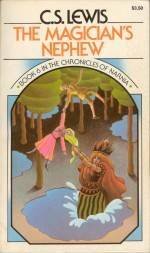 Lewis’ Chronicles of Narnia are some of the first fantasy-esque books I can recall reading, and they had me at The Lion, The Witch, and the Wardrobe, with fair Cair Paravel and all the splendor that (eventually) comes with it. But stumbling into The Magician’s Nephew, the ultimate creation story where we see the “Wood Between the Worlds”, the deceptively sleepy, green land dotted with lake-pools which are actually transport to the other worlds (including ours and what we actually witness become Narnia) – that was a delight I didn’t see coming. In between fighting the evil witch Jadis, who will, Voldemort-like, misinterpret a fateful prediction and ruin her own self, we get to follow Polly and Digory, watch the world we love be sung into existence by Aslan, plant the very tree from which the wood of the wardrobe was created, and see the lamp-post that led the Pevensie children into Narnia. As long as I have a green ring to get me back home, I’ll happily follow each pool wherever it leads. 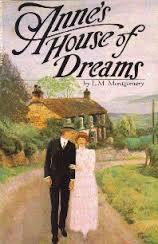 Avonlea’s White Way of Delight, Lovers Lane and the Lake of Shining waters are calling – but even more so is Anne’s House of Dreams in Glen St. Mary, where our heroine, formerly of Green Gables, retires with best friend and true love Gilbert Blythe in wedded bliss. Their house of dreams welcomes you with a bright fire on the hearth, conch shells decorating the yard and a brook tripping lightly through the corners of the garden. Fall asleep to the sound of waves crashing in the sleepy village of Glen St. Mary, and Capt’n Jim’s foghorn sounding tirelessly through the night. Thanks to author L.M. Montgomery, I became bosom-book-friends with the girlish Anne of Green Gables; but seeing her step out into her own life and world, while continuing to be true to her original Anne-Girl self was a just as fun. If it’s good enough for Anne Gilbert (neé Shirley’s) dreams, it’s good enough for mine. 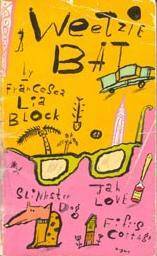 I can’t help but read the chronicles of Weetzie while snapping my fingers, musical-rumble-style, and intoning the mantra “be cool, honey bunny.” I’m going with the theory that Quentin Tarantino read Francesca Lia Block’s Weetzie Bat before diving into the hip L.A. scene with Pulp Fiction. I grew up in Southern California, and Weetzie, too cool for school, is like the Los Angeles’ kids personal Lonely Planet. While you read, she just casually pops up at all the best places in the City of Angels, while disparaging her high school friends who’re too shortsighted to see all of the fantastic stuff lying just underneath the city’s newer urban-sprawl glamour. Like Tiny Taylor’s, where the waitresses wear skates and the decor is Jetson-style, or the bagel and knish delish of Canter’s, the Tick Tock Tea Room, and the Venice beach boardwalk. In reality, Tiny’s is now a mini-mall and Kiddie Land turned into retail-nightmare Beverly Center – I say raze ‘em all and turn the city back to it’s old classics, so we can all go Duck Hunting in style. Misselthwaite Manor, “on the baleful moors of Yorkshire”, is the stuff of California’ girls dreams. 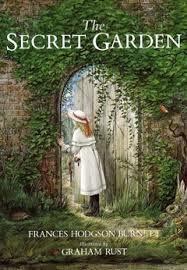 So much so that I had to get a big old illustrated copy of Frances Hodgson Burnett’s The Secret Garden to keep on hand to remind me This is the place where one can retire to refresh and rejuvenate, in a peaceful, secret, stone-walled surrounded green space. As a zone 9 gardener, the change of temperament would suit my succulent-growing green-thumb nicely. I imagine making friends with red robin and his mate, reading a good book by the splashing fountain, taking a Long Walk through ivied walls, luxuriating in the heady scent of roses and lilies, and retiring inside to a real country English lunch to keep my spirits up. After claiming my Golden Ticket, (and using a few dollars to buy separate beds for Grandpa Joe/Grandma Josephine and Grandpa George/Grandma Georgia), I’ll skip the creepy parts of Wonka’s Chocolate Factory (the possibly time-traveling pink rowboat and the great glass elevator still give me nightmares), and just stay put in the Chocolate Room, the beautiful nerve center of the whole operation. Willy Wonka cannot abide “ugliness in factories” so you know everything in his factory will blow your mind. Starting with the splendid chocolate waterfall and lush green fields filled with a rainbow assortment of edible delights. Soon I’ll go native, master the rhymes of the Oompa-Loompas, and never be seen in the light of day again. 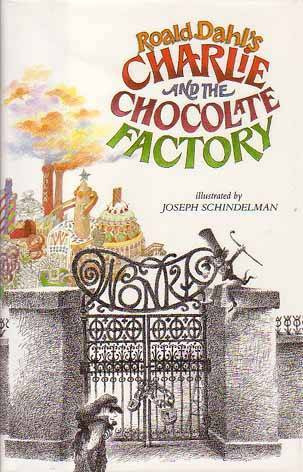 Only rule of Roald Dahl’s Charlie and the Chocolate Factory: no children allowed. We all know what happened last time. What are your favorite bookish worlds to escape to?